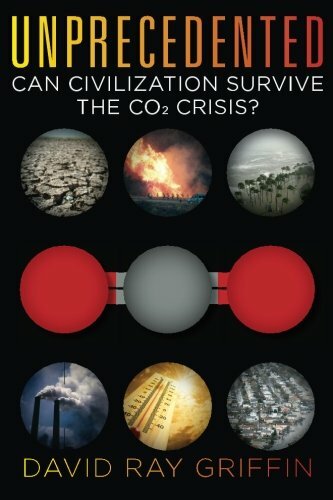 9780986076909 | Clarity Pr, February 15, 2015, cover price $34.95 | About this edition: Can we act quickly and wisely enough to prevent climate change â better called climate disruption â from destroying human civilization? 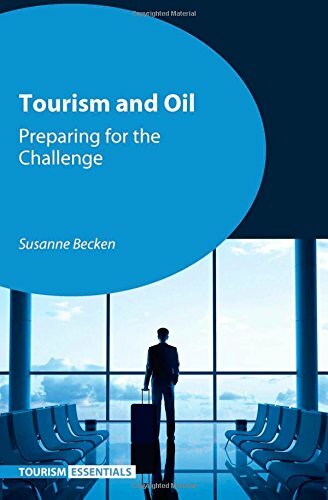 9781845414887 | Channel View Books, January 12, 2015, cover price $139.95 | About this edition: This book is the first to examine oil constraints and tourism, and addresses one of the key challenges for the tourism industry in the future. 9781845414870 | Channel View Books, January 12, 2015, cover price $39.95 | About this edition: This book is the first to examine oil constraints and tourism, and addresses one of the key challenges for the tourism industry in the future. 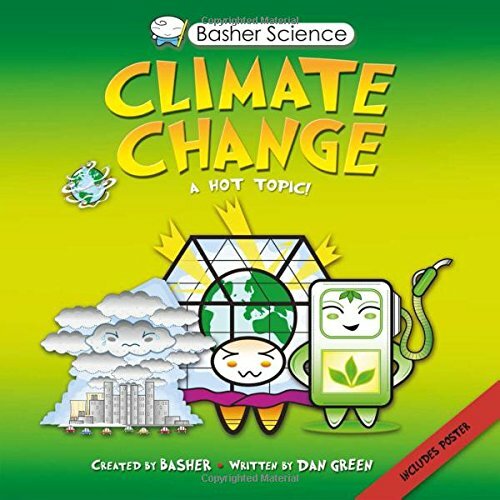 9780753471760 | Har/pstr edition (Kingfisher, January 6, 2015), cover price $12.99 | About this edition: Do you know your carbon cycle from your carbon footprint? 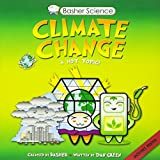 9780753471753 | Pap/pstr edition (Kingfisher, January 6, 2015), cover price $8.99 | About this edition: Do you know your carbon cycle from your carbon footprint? 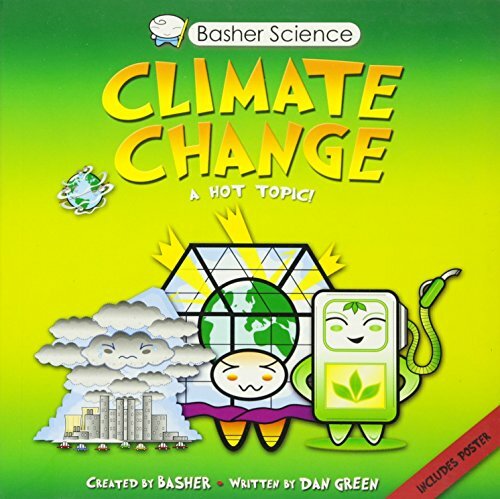 9780415276603, titled "Climate Change: Critical Concepts in the Environment and Physical Geography" | Routledge, October 1, 2002, cover price $55.01 | also contains Climate Change: Critical Concepts in the Environment and Physical Geography | About this edition: A collection of articles discuss climatic change and the effects on the environment, covering such topics as global warming, natural forces in climatic change, and what the future climate will be like. 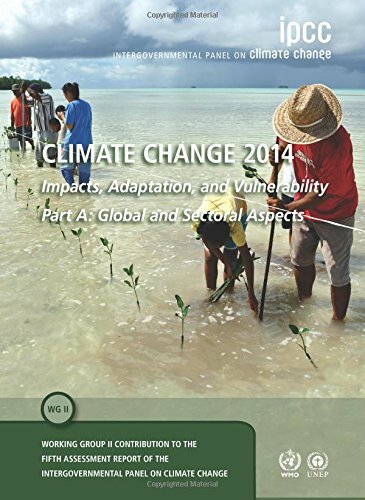 9781107058163, titled "Climate Change 2014: Impacts, Adaptation, and Vulnerability: Regional Aspects" | Cambridge Univ Pr, December 31, 2014, cover price $190.00 | About this edition: This latest Fifth Assessment Report of the Intergovernmental Panel on Climate Change (IPCC) again forms the standard scientific reference for all those concerned with the environmental and social consequences of climate change, including students and researchers across the natural and social sciences, professionals in medicine and law, and practitioners in environmental planning, resource management, development, disaster risk reduction, and adaptation. 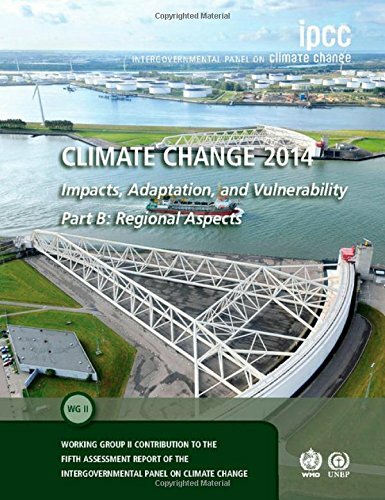 9781107641655 | Cambridge Univ Pr, December 31, 2014, cover price $99.99 | About this edition: This latest Fifth Assessment Report of the Intergovernmental Panel on Climate Change (IPCC) again forms the standard scientific reference for all those concerned with the environmental and social consequences of climate change, including students and researchers across the natural and social sciences, professionals in medicine and law, and practitioners in environmental planning, resource management, development, disaster risk reduction, and adaptation. 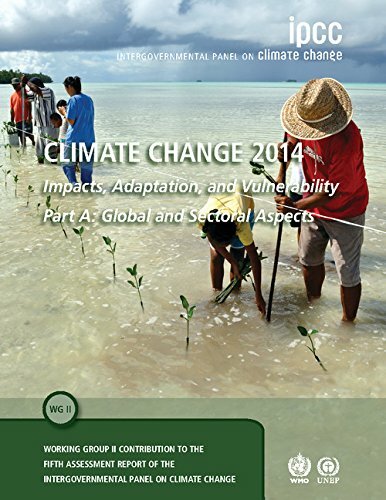 9781107058071 | Cambridge Univ Pr, December 31, 2014, cover price $190.00 | About this edition: This latest Fifth Assessment Report of the Intergovernmental Panel on Climate Change (IPCC) again forms the standard scientific reference for all those concerned with the environmental and social consequences of climate change, including students and researchers across the natural and social sciences, professionals in medicine and law, and practitioners in environmental planning, resource management, development, disaster risk reduction, and adaptation. 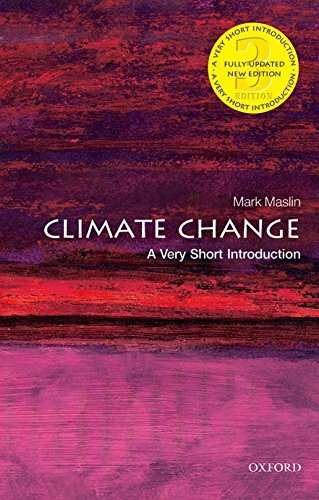 9780198719045 | 3 upd new edition (Oxford Univ Pr, December 1, 2014), cover price $11.95 | About this edition: Climate change is still, arguably, the most critical and controversial issue facing the world in the twenty-first century. 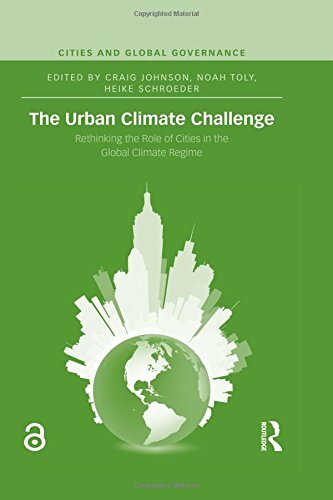 9781138776883 | Routledge, March 24, 2015, cover price $160.00 | About this edition: Drawing upon a variety of empirical and theoretical perspectives, The Urban Climate Challenge provides a hands-on perspective about the political and technical challenges now facing cities and transnational urban networks in the global climate regime. 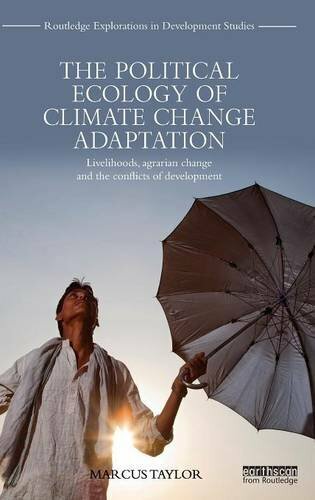 9780415703819 | Routledge, November 26, 2014, cover price $145.00 | About this edition: This book provides the first systematic critique of the concept of climate change adaptation within the field of international development. 9780312238018, titled "Decolonization Since 1945: The Collapse of European Overseas Empires" | Palgrave Macmillan, June 1, 2000, cover price $55.01 | also contains Decolonization Since 1945: The Collapse of European Overseas Empires | About this edition: One of the most significant changes of the post-1945 world has been the decline and final dismemberment of European colonial empires in Africa, Asia, the Middle East, the Pacific and the Caribbean. 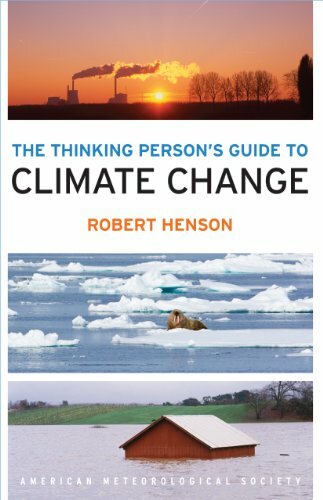 9780199794638 | Oxford Univ Pr, December 12, 2011, cover price $44.95 | About this edition: What Will Work makes a rigorous and compelling case that energy efficiencies and renewable energy-and not nuclear fission or "clean coal"-are the most effective, cheapest, and equitable solutions to the pressing problem of climate change. 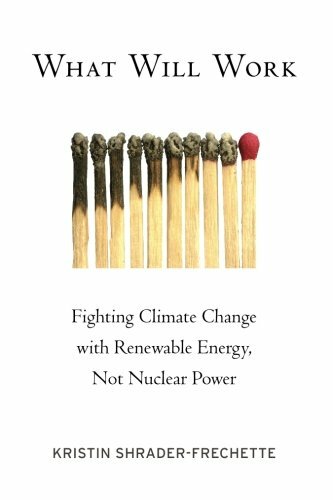 9780190215187 | Oxford Univ Pr, November 1, 2014, cover price $31.95 | About this edition: What Will Work makes a rigorous and compelling case that energy efficiencies and renewable energy -- and not nuclear fission or "clean coal" -- are the most effective, cheapest, and equitable solutions to the pressing problem of climate change. 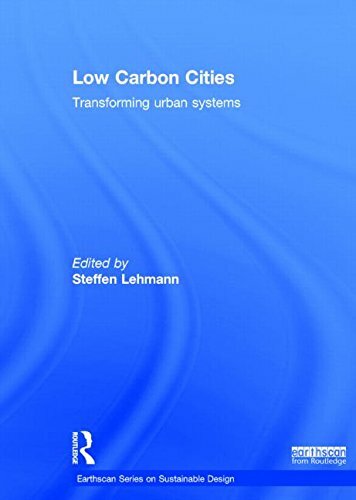 9780415729826 | Routledge, November 11, 2014, cover price $200.00 | About this edition: Low Carbon Cities is a book for practitioners, students and scholars in architecture, urban planning and design. 9780415729833 | Routledge, November 5, 2014, cover price $72.95 | About this edition: Low Carbon Cities is a book for practitioners, students and scholars in architecture, urban planning and design. 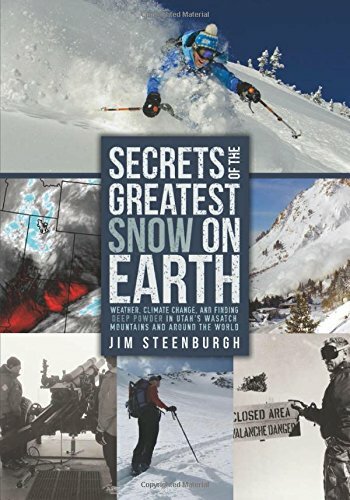 9780874219500 | Utah State Univ Pr, November 14, 2014, cover price $21.95 | About this edition: Utah has long claimed to have the greatest snow on Earth―the state itself has even trademarked the phrase. 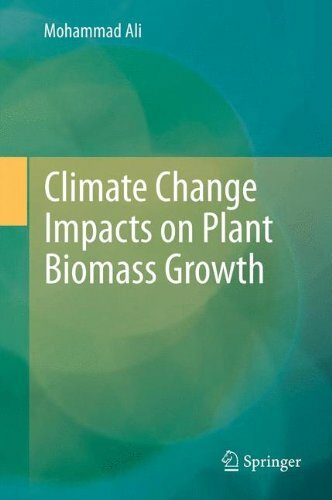 9789401782678 | Springer Verlag, October 15, 2014, cover price $159.00 | About this edition: This book offers a methodical explanation of our biomass-driven ecosystem, the undeniable uncertainties posed by the response of vegetation to changes in environmental conditions and the fact that humans everywhere have an interest, even an obligation, to cooperate in a global campaign to combat climate change. 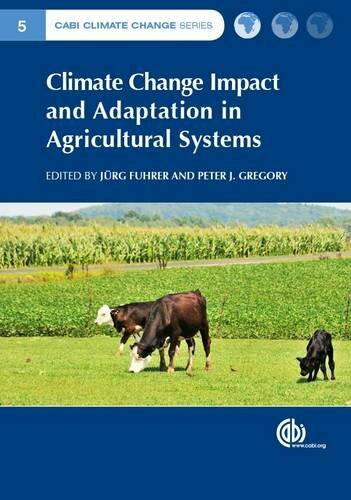 9781780642895 | C A B Intl, July 25, 2014, cover price $160.00 | About this edition: The focus of this book is future global climate change and its implications for agricultural systems which are the main sources of agricultural goods and services provided to society. 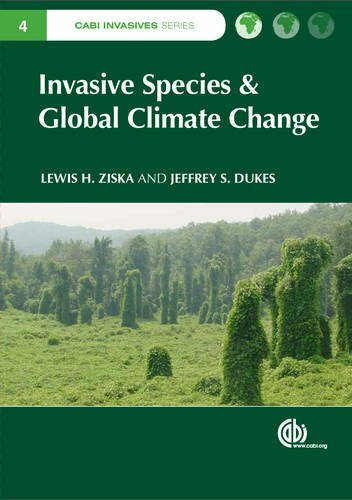 9781780641645 | C A B Intl, October 15, 2014, cover price $180.00 | About this edition: This book examines what will happen to global invasive species, including plants, animals and pathogens with current and expected man-made climate change. 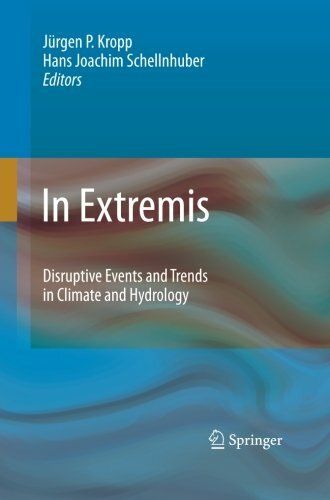 9783642148620 | Springer Verlag, September 29, 2010, cover price $199.00 | About this edition: The book addresses a weakness of current methodologies used in extreme value assessment, i. 9783642422607 | Springer Verlag, September 29, 2014, cover price $199.00 | About this edition: The book addresses a weakness of current methodologies used in extreme value assessment, i. 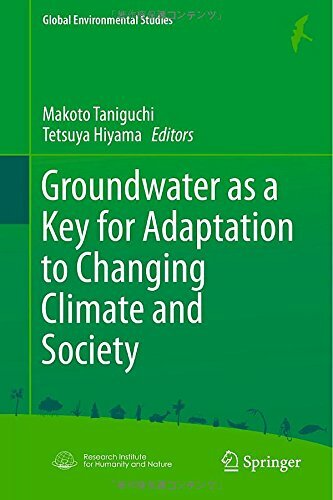 9784431549673 | Springer Verlag, July 11, 2014, cover price $129.00 | About this edition: The book presents an overview of recent advances in knowledge related to the assessment and management of groundwater resources, giving special attention to the uncertainties related to climate change and variability. 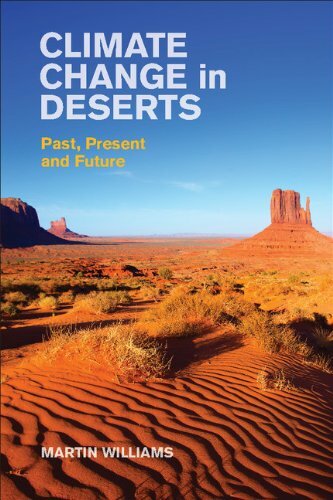 9781107016910 | Cambridge Univ Pr, August 31, 2014, cover price $190.00 | About this edition: This book reconstructs climatic changes in deserts and their margins at a variety of scales in space and time. 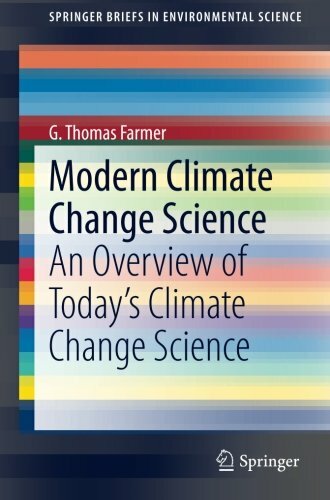 9783319092218, titled "Modern Climate Change Science: An Overview of Todayâs Climate Change Science" | Springer Verlag, August 21, 2014, cover price $54.99 | About this edition: Composed of two extensive sections, this book surveys important work in climate change science, mainly in the United States, and introduces contributions to the body of science that have arrived on the scene between January 2013 and February 2014. 9780373484898, titled "Captive Star" | Reprint edition (Harlequin Books, July 1, 2001), cover price $5.99 | also contains Captive Star | About this edition: In this novel from #1 New York Times bestselling author Nora Roberts, diamonds can be a girl's best friendâ¦or her worst enemy. 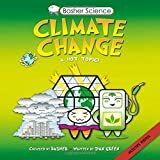 9781935704737 | Amer Meteorological Society, August 15, 2014, cover price $30.00 | About this edition: Everybody can be a thinking person when it comes to climate change, and this book is a perfect roadmap. 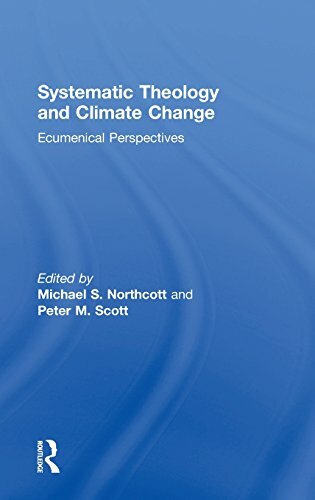 9780415742788 | Routledge, May 28, 2014, cover price $135.00 | About this edition: This book offers the first comprehensive systematic theological reflection on arguably the most serious issue facing humanity and other creatures today. 9780415742795 | Routledge, May 27, 2014, cover price $49.95 | About this edition: This book offers the first comprehensive systematic theological reflection on arguably the most serious issue facing humanity and other creatures today.